Tustin Plumbing, Heating & Air Conditioning offers a wide range of plumbing, HVAC and remodeling services in the city of Anaheim Hills. If your home or business is in Anaheim Hills and your heating goes out, the air conditioning quits or a plumbing problem arises, the expert technicians and contractors at Tustin Plumbing are only a phone call away. They're also available 24 hours a day, 7 days a week. 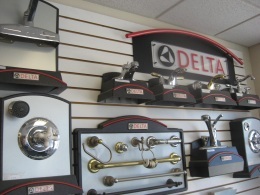 We have over 50 years experience helping dealing promptly and effectively with all your plumbing and HVAC. Our expert remodelers can also help if you'[re looking at a kitchen or bathroom remodel. Receive $15 off any service in the city of Anaheim Hills! Click here to print out your $15 coupon.